Planners can save you time. Planning a wedding takes A LOT of time. Perhaps you work full-time and don’t have the time nor the energy to devote to all the planning, which is just short of working another part time job. Maybe you don’t want to take on calling vendors or attending meetings on meetings on meetings. Many full service planners will take care of all of this for you. From creating timelines and checklists to keeping you on schedule with vendor payments, planners are there to create a feeling of ease and to make your planning process enjoyable. Planners can save you headaches. Planners can save you money. Unless throwing extremely expensive and elaborate parties are your jam, I’m assuming your wedding is the biggest party you ever have and ever will plan. Wedding budgets can get a little crazy! A professional planner can help you determine what the perfect event budget is for you. Wedding planners spend much of their time (when not actually planning and attending weddings) forming relationships with vendors. Planners are well versed in what services cost and can help you stay on budget by ruling out astronomically priced venues and vendors. They also know the ins and outs of how to get a discounted rate. Rethinking hiring a planner now? 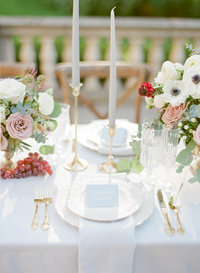 I’d love to help design your perfect day!